In this ebook Tony Griffith shares with us some of his best routines. There is something for everyone. 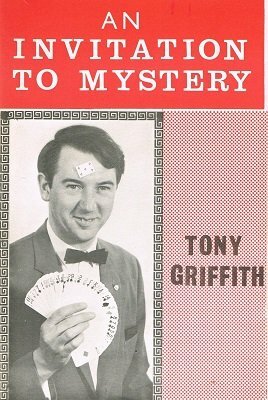 You can find card magic (both close-up and stand-up), entertaining mentalism and stage magic. All effects are easy to prepare and easy to perform. Interesting background information and useful notes are provided for every trick. Cuff Link Prediction: A cuff link is placed freely by a spectator on one of three cards. You demonstrate to have predicted the choice. Only the 3 cards and the cuff link are used. Thanks for the memory: A giant memory demonstration in which you remember a list of objects called from 20 spectators in a very entertaining manner. Nothing to write and you leave them with your visiting card! Ring Away – Loop de Loop – Hitched: A three stage rope and ring routine useful both for close up or stage illustrated with several photos. The Magician and the Mindreader: A beautiful effect in which you predict a freely chosen card in two stages. 1) You demonstrate that you have inserted in advance in the deck a different colored backed duplicate of the chosen card and… 2) Counting the cards it is found that there are only 51 and the thought card is the only missing one. You extract instantly (no fumbling…) the thought/missing card from your pocket sealed in an envelope. No force – free choice. The Love chain: Very original effect. The performer shows a sealed prediction. Then the hands of a long time married couple are chained and padlocked together. Performer shows 5 numbered envelopes. One is freely chosen and given to a spectator to hold. The other envelopes are opened and each one contains a padlock key. The couple try to free themselves but none of the key opens the padlock… The freely chosen envelope is opened by the spectator and the key it contains is the only one that opens the padlock! The prediction is opened and proven to be correct. For a funny finale the couple takes revenge chaining the performer…but he instantly frees of the chain. 1st digital edition 2013, 64 pages with many B/W illustrations and photos.